We’ve got the birthday cakes for boys that will love to prove once and for all that there are so many terrific themes for boys’ birthday parties now.
! Cakes serve as awesome dessert table decorations and birthday party focal points. Whether you bake the cake or order it for your guy, you’re certain to find simple to sublime design inspiration in this round-up. A number of the cake artists generously share tutorials, too. Someone, somewhere, is celebrating a birthday today and they’re eating cake. Does anyone know how that tradition began? Can you imagine all the boy party themes that would fit with this incredibly detailed elephant cake. This boy’s birthday cake idea would be perfect for a little peanut shower, boy’s safari party, a zoo party or wild animal theme. Boys who love dinosaurs will definitely love this birthday cake covered in fondant dinosaurs and friends. This cake boasts an erupting volcano, waterfall and cave/tunnel too—all edible. This may be the only alligator you want to meet eye-to-eye in this lifetime, and fortunately it’s a boy’s birthday cake. Carved from cake and covered in fondant, this alligator cake would make a fabulous addition to so many different boy’s birthday party themes. If you prefer a simpler birthday cake design, check out this rustic dinosaur cake. It boasts a simple fondant covered look accented with fondant dinosaur tracks, a hand cut fondant dinosaur shape with hand drawn detailing, and fondant age layered on fondant frames. This boy’s birthday cake looks like a huge spider came and sat on top of a cake. The frosting techniques used, give a fun texture to the spider. Chenille stems make great spider legs (although they aren’t edible). Another great birthday cake for boys, this dinosaur cake is simple, but chic. A round cake covered in white fondant is accented with a tan chevron design on the side and the silhouettes of two dinosaurs on top. To create this dinosaur cake, you’ll start with a square shaped cake base covered in fondant. Fondant pieces are cut and texturized and then layered to create a terrifying tyrannosaurus rex. Various jungle foliage, a flying pterodactyl and an erupting volcano are also created out of fondant and added to the cake top to complete the dinosaur birthday cake idea. This jungle safari boy’s birthday cake is chock full of details that will have your imagination running wild. Three green fondant covered tiers, complete with fondant jungle leaves give way to a group of the cutest safari animals—lions, tigers, elephants, monkeys, giraffes and zebras. These adorable jungle animals are represented in both full 3-D form and also 2-dimensional faces. Need a great dinosaur birthday cake idea for your son’s dinosaur birthday party? This giant dinosaur cake is adorable, covered in purple spikes and dots created from fondant. The sheer size of this cake is as impressive as the handmade details. Have your cake, and eat your cupcake too? 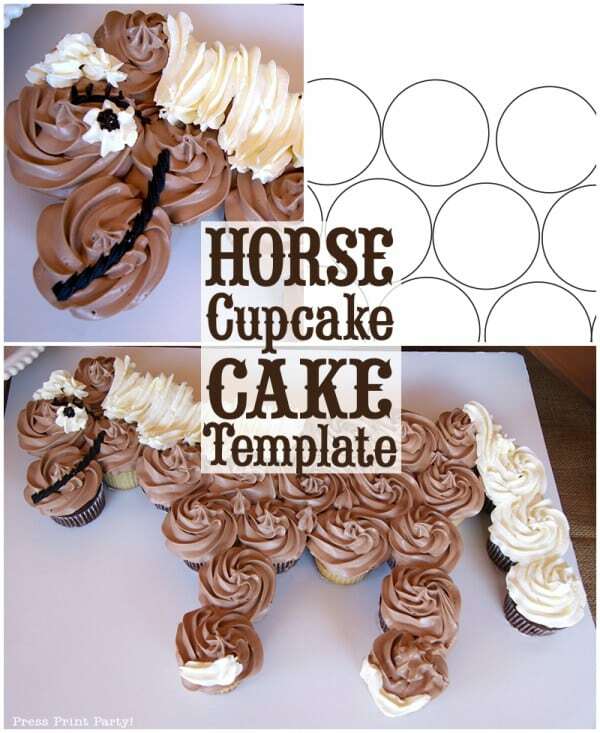 This horse cupcake tutorial walks you through the steps of creating a cake from carefully arranged and frosted cupcakes. This elephant safari birthday cake brings in the feel of the jungle through carefully created cake tiers with a variety of animal prints incorporated into the tiers and toppers. Plus, how cute are the silhouettes of fondant elephants, parading against a safari sunset. If you find yourself in need of a beaver birthday cake for a boy’s birthday party, this one looks fairly simple to replicate. Check out the eyes made from Oreos and chocolate chips, teeth made from marshmallows and chewed “logs” represented from pretzel rods. Donatello, Michelangelo, Leonardo, and Raphael emerge from the sewer in this exceptionally awesome Teenage Mutant Ninja Turtles birthday cake. They are saving the city from Shredder. Check out all of the details of this cake, created from fondant. This superhero cake combines so many fun details. From the city skyline created from fondant, to the colorful fondant superhero shields and logos, to the buttercream pop art dots and classic superhero colors, this boy’s birthday party cake will save any superhero dessert table from disaster. You’ll need your fondant molding skills to make this superhero gang birthday cake. What little boy wouldn’t love a cake topped with edible replica figurines of Superman, Iron Man, Batman, Captain America, and the Hulk? If you’re trying to figure out how to depict all of your son’s favorite Avengers characters in a single cake design, this is it! Four popular Avengers characters collide in this cake (Captain America, Iron Man, Thor and the Incredible Hulk), creating a 3-tiered cake of epic proportions. The details are hand crafted from fondant! Pop art meets superheroes in this boy’s birthday cake idea! Perfect for just about any superhero party theme, the cake design incorporates the quintessential dotted look of pop art and the classic city skyline created in fondant. Now you can send out the bat signal from your own boy’s birthday party dessert table! This Batman birthday cake has some impressive superhero inspired fondant details including a layered bat signal, city skyline and comic book style speech bubbles with a birthday greeting and the guest of honor’s name. If you like the look of fondant, but the taste of buttercream, this fireman and fire truck boy’s birthday cake is the best of both worlds! A rectangle sheet cake is covered in yummy buttercream and topped with the cutest fondant firefighter, firetruck, fire hydrant, Dalmatian and water hose to douse fondant flames. The guest of honor’s name is spelled out in Dalmatian inspired fondant letters. Kick up excitement for a boy’s Lego Ninjago inspired birthday party dessert table with an awesome ninja warriors cake! Two tiers of delicious cake covered in fondant details including fondant ninja sword and throwing stars! Plus, don’t you love how the birthday ninja’s name is depicted in an Asian font in fondant? If you want to wow your boy’s birthday party guests, make a Batman figure molded out of fondant busting out of the top of his birthday cake! 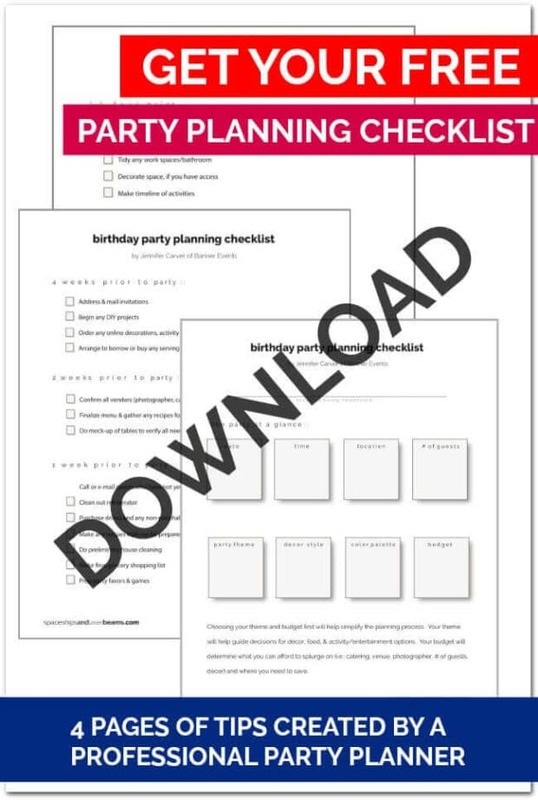 This would make a great addition to any superhero party theme. If you can leap tall buildings in a single bound, you might have the super powers necessary to make this superhero birthday cake! Creating a city skyline from cake for a boy’s superhero birthday party is genius! And the superhero cake topper is adorable! “Pow!” “Zap!” “Bam!” Guests at a superhero boy’s birthday party will get a kick out of these superhero cupcakes covered in fondant with comic book style word bursts. You can coordinate these cupcakes with a themed birthday cake! Lights, camera, action! This movie themed cake for a boys’ birthday party might just be the star of your dessert table. The birthday cake features a film reel, container of movie popcorn and a ticket stub for the main attraction! “Go big or go home,” right? This Muppets inspired boy’s birthday cake features standing versions of Kermit and Constantine from the movie Muppets Most Wanted. It is definitely a cake for more experienced decorators and involves building a structure from wood dowels and wooden circles to support the weight of the cakes. You’ll get good practice on your cake carving skills, and will use a lot of ganache and fondant! Lego Star Wars fans will go crazy over this boy’s Star Wars birthday cake, made to look like a Lego version of the Millennium Falcon. The cake is cut and shaped and covered in fondant plus awesome fondant details. Add this birthday cake idea to your list for a Star Wars enthusiast. Get ready to have your boy’s Indiana Jones-loving heart explode over the awesomeness of this Indiana Jones boy’s birthday cake! The cake layers were inspired by different parts of the first level of the Lego Indiana Jones game, as well as the first adventure of the movie. See if you can spy the fondant details such as: the Stone Face on the bottom tier, the cave entrance and rolling stone on the 2nd tier, and the fertility idol on the top tier. Boys familiar with the Lego Indiana Jones game will recognize some additional details made out of fondant: colored coins, ferns, white spikes and extra life hearts. You won’t have to go “to infinity and beyond” to get birthday cake ideas for a boy’s Buzz Lightyear party! This simple cake features just one tier, but the fondant accents are inspired by details on Buzz’s space ranger suit. What a cool birthday cake for a boy’s Toy Story party! Throwing a Toy Story party? This Woody and Jessie inspired cake is two-tiered and full of awesome fondant details. Every Toy Story fan will recognize Woody’s pants, belt buckle and hat. And the tier of cow print is reminiscent of Jessie’s cowhide chaps to go with her recognizable red hat. If you want to up the cool factor of your Toy Story birthday party, add some of the details of this awesome boy’s birthday cake! Don’t you just love the Etch-a-Sketch, alien, and toy blocks spelling out the birthday boy’s name? Plus, his age—3—is depicted as a fondant topper and created in a Toy Story inspired font is perfect! Choo! Choo! Everyone’s favorite blue engine is represented in this Thomas the Train boy birthday cake! The details out of fondant are insanely awesome! Plus, checkout the edible candy cargo! If you or your children have read the book Pajama Time, you’ll recognize the inspiration for this boy’s birthday cake! The cake looks like it could’ve jumped straight from the pages of the book. Even the animals on the fondant cake topper look like the characters in the book! Transformers fans will love this Optimus Prime inspired birthday cake, perfect for a boy’s birthday party. The cake is made by cutting and carving the cake into a semi-truck shape, followed by covering it in cream icing and fondant accents. The flames and logo are hand painted. Create your own cake masterpiece with these great supplies gathered by the team at Spaceships and Laser Beams. Check out more awesome cakes perfect for a little boys birthday party.